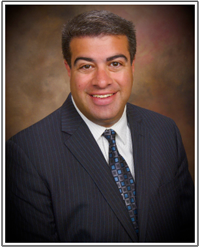 Prior to forming the Law Offices of Seth W. Wiener, Mr. Wiener worked as a commercial litigator at several prominent Bay Area law firms, including, Wilson Sonsini Goodrich & Rosati, P.C. and LeBoeuf, Lamb, Greene & MacRae LLP. The Law Offices of Seth W. Wiener has represented individuals, corporations, limited liability companies, and partnerships a wide spectrum of business disputes. We handle a wide range of construction –related disputes for property owners and contracts, including breach of contract actions, construction defect disputes, delay claims, and mechanics’ lien disputes. We represent tenants, landlords, and property owners in a variety of real estate litigations, including breach of contract claims, unlawful detainer actions, non-disclosure, and fraud cases. We litigate employment on behalf of both employers and employees in both court and administrative forums, including breach of contract actions, wrongful termination, discrimination and harassment claims, unemployment claims, and wage and hour disputes. Representing policyholders and insurance companies in breach of contract and “bad faith” actions. The Law Offices of Seth W. Wiener litigates copyright, trademark, trade secret, and unfair competition cases.